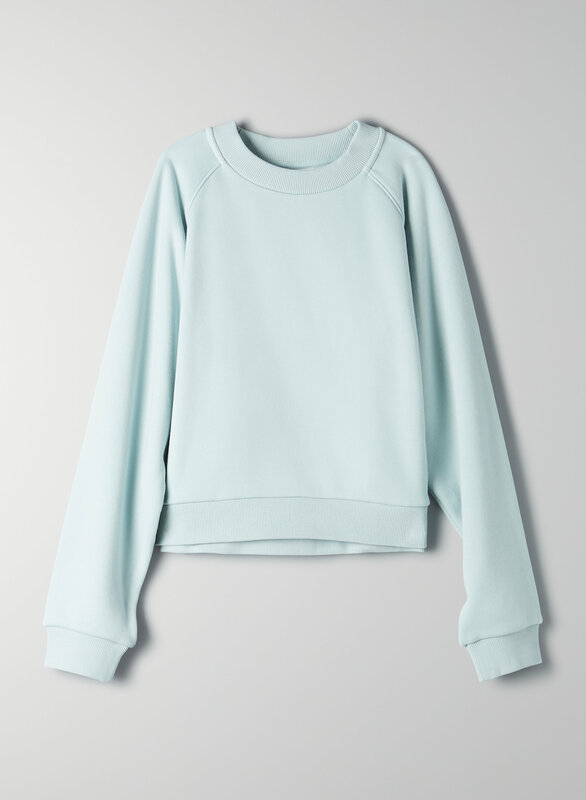 This is a modern crewneck sweater with a raglan shoulder and cocoon-shaped sleeves. It's made with a soft fleece that's trimmed with velour on the backside. Love the softness on the inside of this top! This sweatshirt is so soft. Cropped fit. Perfect sweatshirt relaxed fit and extra softness lined perfect for the cooler weather! This top is awesome and I hope it comes out in more colours. It’s great but it’s just too short. I wish it was longer. Love the material and softened inside the sweater.